"The Casual Distractions are two guys who specialize in long sets of electronic improvisation. 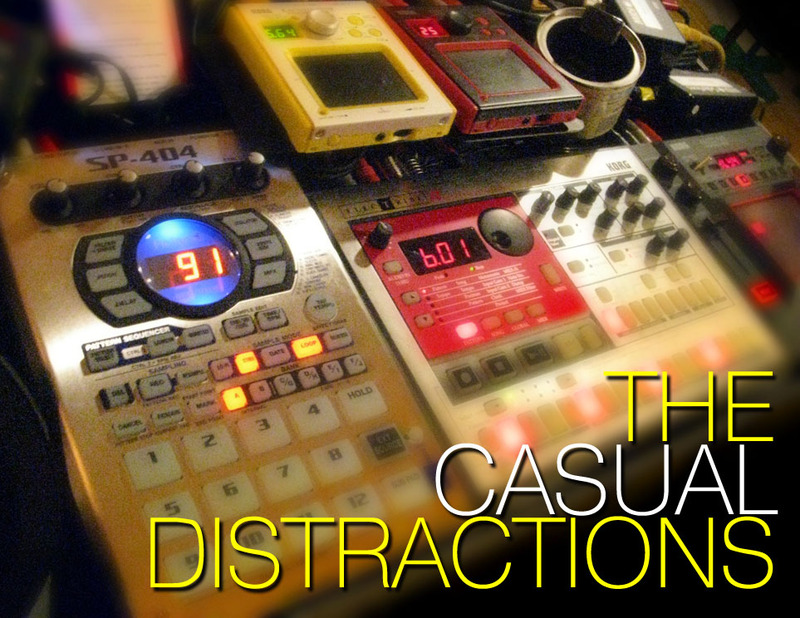 Their site, thecasualdistractions.com, currently has over 60 hours (!) of freely downloadable MP3s, fully indexed for your listening pleasure. Since 2008, they've used a wide variety of Roland, Korg, and Moog gear, along with some from other manufacturers and some that was home made. 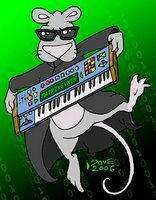 Right now their rig includes two Korg KP3s, two Kaossilators (thinking of upgrading one to a Kaossilator Pro), two Roland Handsonic HPD-15s, two Roland SP-404s, a Korg Electribe ER-1, a Korg mini-KP, and a clear acrylic electric guitar modified with dozens of blue LEDs. Chronic Gear Acquisition Syndrome ensures that their rig and sound constantly evolve. Keep tabs on them at their site, on Facebook, or by subscribing to their iTunes podcast."